On September 27, 2012, the Fraser Mustard Institute for Human Development was formally launched as part of the symposium entitled “Investing in Mothers and Children: Developmental Trajectories, Health, Learning and Society.” FMIHD established with the appointments of Professor Stephen J. Lye as the inaugural Executive Director and Professor Marla B. Sokolowski as the inaugural Academic Director. The Ontario Birth Study (OBS) is an ambitious and exciting new research initiative led by Dr. Alan Bocking. 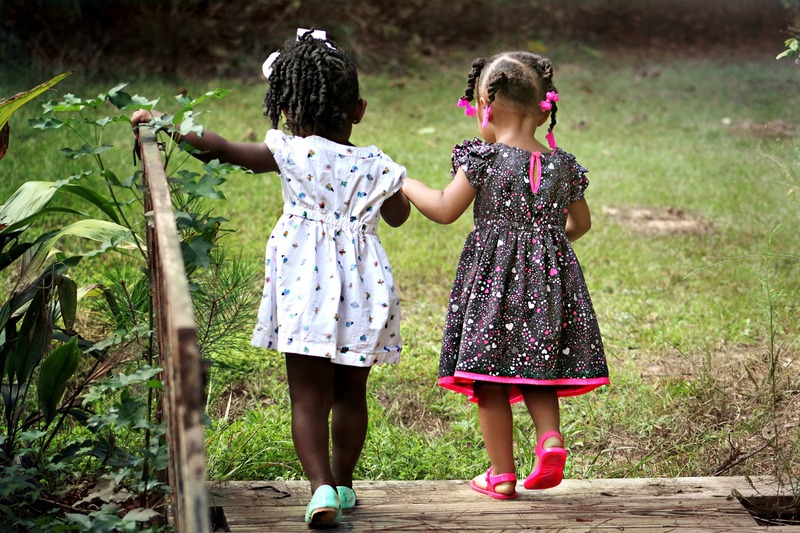 The goal of the study is to help researchers and clinicians better understand pregnancy, the health of mothers and babies, and ultimately, the importance of early life experiences on childhood and later life health and well-being. 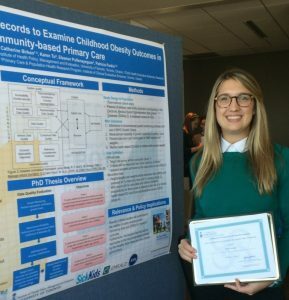 Creation of a new pregnancy/child cohort – the Ontario Family Health Study, supported through partnership with St. Michael’s, Sickkids and Mount Sinai Hospitals). The cohort has enrolled and is following mothers recruited during pregnancy and children recruited during infancy. 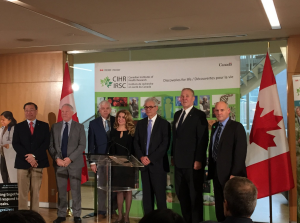 Aided new research grant funding, including grants from Gates Foundation, Global Alliance for the Prevention of Prematurity and Stillbirth, CIHR, UN Population Council, Bickell Foundation. Two additional leadership appointments were made in 2013, Professor Stephen G. Matthews, Research Director and Professor Barbara Fallon, Director, Act Now. The Mats Sundin Fellowship in Developmental Health was established in November 2012 with a donation of SEK 2.2 million (around $350,000) from former hockey player and Toronto Maple Leafs captain Mats Sundin, aim to develop future health leaders in Canada and Sweden. 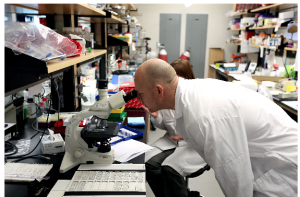 Recipients will have the opportunity to spend a period of research at their partner institution under the direction of leading scientists in the field of developmental health, which focuses on understanding how diseases of childhood and adulthood can be traced to conditions within the first 2000 days of life. 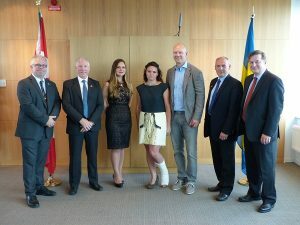 Mats Sundin Fellows named: The new fellows were announced August 20th during a ceremony held at the Canadian Embassy in Stockholm. Mats Sundin with Fellows Sophie Petropoulos at left and Jessica Weidner at right (photo courtesy the Canadian Embassy in Sweden) Former Toronto Maple Leafs captain and National Hockey League superstar Mats Sundin worked with other donors to help start the fellowship, which provides advanced postdoctoral training in human development. One candidate from each university will complete up to two years of postdoctoral research at the other’s institution. The program is managed by the Fraser Mustard Institute for Human Development. ACT NOW is the knowledge mobilization and policy outreach arm of the FMIHD. ACT NOW stands for Achieving Change Through kNOWledge. It engages communities and policy makers to help ensure research and education expertise developed at the Institute translates into recommendations for best policy and practice so children and their families can feel their benefits. Contribution to a new Lancet Series on new interventions to improve early child development. The Lancet is a world-leading, peer-reviewed general medical journal. FMIHD Executive Director Dr. Stephen Lye was sought out by the Lancet to help prepare a series of three papers on the importance of early-life on child health and well-being. The papers will focus on the scale of problems associated with poor child development, the mechanisms by which adversity impacts children and interventions and public policy to improve the lives of children. Dr. Lye will be leading the writing group for the paper focusing on interventions. 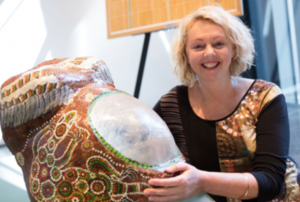 Those collaborating on the project include the WHO and UNICEF. Begin a yearly CPHD research day where students present their work. : the 1st annual Research Day on October 1st 2015. Steve Lye with Tony Lake, Executive Director, UNICEF and Jim Yong Kim, President, World Bank Group. 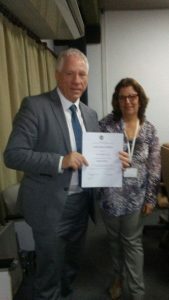 MOU was signed between UOFT and The Universidad De Ciencias Médicas De La Habana, Cuba. As one of the Series co-authors, Steve Lye gave was asked to give one of the keynote presentations. (CIHR) and the Department of Biotechnology, Ministry of Science & Technology, Government of India approved the LOI for the Healthy Life Trajectories Initiative – India project. Establishment of the Alliance for Human Development! Minister of Research, Innovation and Science to visit China, Minister Reza Moridi, led a science and technology mission to China to strengthen existing partnerships in life sciences, ICT and Cleantech with the province of Guangdong. Steve Lye was invited to be a part of a small group of Ontario delegates. 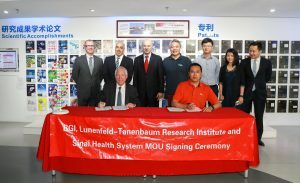 During this trip, Steve Lye and Beijing Genomics Inst. Signed an MOU to create a joint Pregnancy Diagnostics Lab in Toronto. 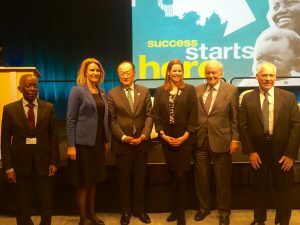 The symposium was held in partnership by the Aga Khan Foundation Canada and the Alliance for Human Development. 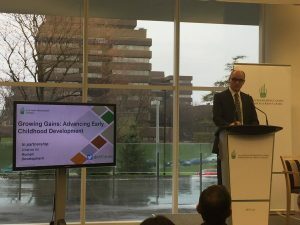 It presented the findings from the Lancet series on early childhood development and the way forward to meet the needs of the most at risk populations. Presentations and discussions on how Canada contributes to advancing early childhood development globally and nationally were also discussed. A panel of experts examined institutional perspectives and approaches to design and expand programmes and policies to help children, their family and their society to thrive. To watch a webcast of the event, please click here! @Alliance_HD Ex.Dir Steve Lye launched the @TheLancet Series in Nairobi. The event was hosted by @FirstLadyKenya. @Alliance_HD Exec.Dir. 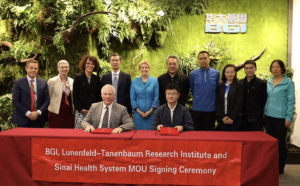 Steve Lye, LTRI, @MountSinai & BGI signed an MOU outlining their intention to collaborate on the dev. of a genomics-based diagnostic test for the early identification of women at risk for pre-term birth & other preg. complications. @Alliance_HD Exec.Dir. 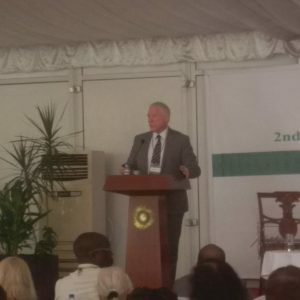 Steve Lye, LTRI, @MountSinai & And Dr. Marie-Claude Martin, Director, Global Initiatives @Alliance_HD attended the 2nd International Conference of the Institute for Human Development, Aga Khan University in Dar es Salaam, Tanzania. Dr. Lye delivered the keynote address on Early Childhood Development. 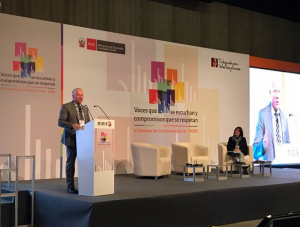 @Alliance_HD Executive Director, Dr. Steve Lye @MountSinai and Director of Research @Alliance_HD attended the XXVIII Cuban Congress of Pediatrics where Dr. Steve Lye has become a Member of Honour of the National Pediatric Society of Cuba!